1) (Gilston, or Gilestoun, co. Glamorgan). Sa. a cross in saltire (or a Julian cross) ar., quartering, az. a chev. betw. three coronets or, adorned with two ostrich feathers ar. 2) or Gyles (Astley and Prickley, co. Worcester; John Giles, of Prickley, aged 33, son of Samoel Gyles, of Solhampton in Astley, aged 63. Visit. Worcester, 1683). Gu. a cross betw. four chalices or, on a chief of the last three pelicans vulning themselves ppr. Crest—A chalice or, out of it three pansy flowers ppr. 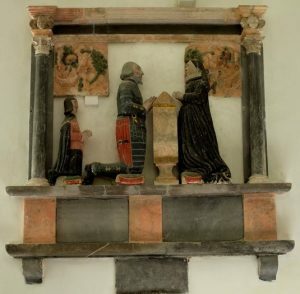 3) (Powick, co. Worcester). Same Arms, chief ar. 4) (White Ladies, Aston, co. Worcester). Same Arms, the chief ar. charged with three eagles displ sa. 5) (Bowden, co. Devon; Sir Edward Giles, Knt., of that place. Visit. 1620). Per chev. ar. and az. a lion ramp. counterchanged collared or. Crest—A lion’s gamb erased and erect ppr. charged with a bar or, holding an apple branch vert fructed gold. 6) (Kailzie, co. Peebles, 1850). Gu. on a cross betw. four chAlices or, as many lions’ heads full-faced ppr. on a chief of the second three pelicans sa. Crest—A chalice or, issuing therefrom three pansy flowers ppr. Motto—Pensez a moi. 7) or Gille – Per fesse gu. and az. on a bend ar. betw. two lions’ heads erased and three crosses crosslet fitchee or, as many cinquefoils of the first. Crest—A squirrel sejant gu. bezantee holding betw. the paws an acorn branch leaved ppr. 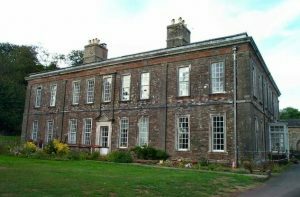 8) (Bowden, co. Devon; Sir Edward Gyles, Knt., son of John Gyles. Visit. 1620). Per chev. ar. and az. a lion ramp. counterchanged, collared or. Crest—A lion’s gamb erased and erect ppr. charged with a bar or, holding an apple branch vert, fructed gold. 9) (Ireland; impalement on the Fnn. Ent., 1652, of Mrs. Francis Gyles, wife of Richard Francis, one of the Gentlemen of the Ordnance in Ireland). Per chev. sa. and or, a lion ramp. counterchanged. 10) (co. Kent). Per pale az. and gu. a griffin pass. or. 11) (London; granted 28 July, 1579). Gu. a cross betw. four uncovered cups or, on a chief ar. three pelicans with wings elevated sa. vulning their breasts ppr. 12) Per fesse gu. and az. on a bend engr. ar. three cinquefoils of the second. 13) Per fesse gu. and az. 14) Per pale gu. and az. a griffin pass. or. 15) Ar. on a fesse engr. sa. betw. three crosses formee gu. as many martlets or. 16) Or, on a cross sa. five plates. 17) (London). Per fesse gu. and az. on a bend engr. ar. betw. two lions’ heads erased, each holding in the mouth a cross crosslet or, three cinquefoils of the second. 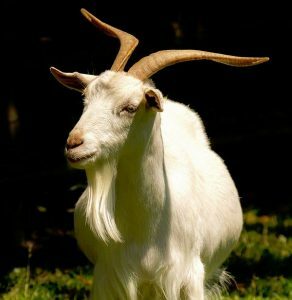 This English/Scottish and Norman French name originally developed from a medieval personal (first) name, the Latin name Aegidius, from the Greek world aigidion, meaning “kid” or “young goat”. It is believed the Latin name translates as “a wearer of goatskin”, perhaps a reference to a holy man who did good works. This masculine given name was popularized by the cult of the a 7th-century Provencal hermit, and forms such as Gidi and Gidy took root in southern French, and Gili or Gilli took root in the area of the Alpes-Maritimes, and Gille and GIle took root elsewhere. This hermit, better known as St. Giles the Hermit was born in Athens, Greece c. 650 AD during the reign of the Roman Empire. Here is an excerpt from Wikipedia about his life: “Giles first lived in retreats near the mouth of the Rhône and by the River Gard in Septimania, in today’s southern France. The story that he was the son of King Theodore and Queen Pelagia of Athen [dubious – discuss] is probably an embellishment of his early hagiographers; it was given wide currency in the Legenda Aurea. The two main incidents in his life were often depicted in art. The Legenda Aurea links him with Arles, but finally he withdrew deep into the forest near Nîmes, where in the greatest solitude he spent many years, his sole companion being a deer, or red deer, who in some stories sustained him on her milk. Giles ate a Christian vegetarian diet. This retreat was finally discovered by the king’s hunters, who had pursued the hind to its place of refuge. 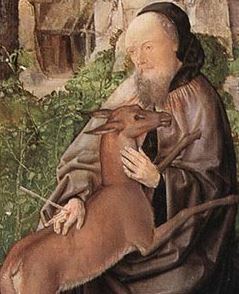 An arrow shot at the deer wounded the saint instead, who afterwards became a patron of the physically disabled. The king, who by legend was Wamba, an anachronistic Visigoth, but who must have been (at least in the original story) a Frank due to the historical setting. He held the hermit in high esteem for his humility in rejecting all honours save having some disciples. Wamba built him a monastery in his valley, Saint-Gilles-du-Gard, which Giles placed under the Benedictine rule. He died there in the early part of the 8th century, with the highest repute for sanctity and miracles”. The name was brought to England and Scotland by the Norman French, the names Ghilo and Gilo appear in the Domesday Book of 1086 AD, which was a survey of England and Wales ordered by William The Conqueror. The family first established itself in Lincolnshire, England where they were granted lands after the Norman Conquest of 1066 AD by William the Conqueror. One website claims: “The family name Giles is believed to be descended from the Norman race, frequently but mistakenly assumed to be of French origin. They were more accurately of Viking origin. 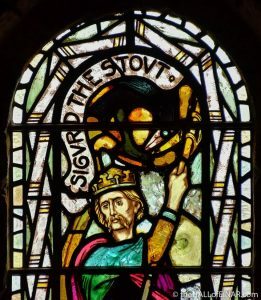 The Vikings landed in the Orkneys and Northern Scotland about the years 870 A.D., under their King, Stirguid the Stout. Thorfin Rollo, his descendent landed in Northern France about the year 940 A.D. The French King, Charles the Simple, after Rollo laid siege to Paris, finally conceded defeat and granted Northern France to Rollo. Rollo became the first Duke of Normandy, the territory of north man. Rollo married Charles’ daughter and became a convert to Christianity. Duke William, who invaded and defeated England in 1066, was the descendant from the first Duke of Normandy”. It also states “William Guyles acquired lands and estates in Sussex in 1296. William Giles purchased land in Kent in 1317, and Nicholas Giles settled in Suffolk in 1346. The family soon moved north and by the 14th century the Giles name was found in Kailzie in Pebbleshire, Scotland. Meanwhile the English family seat was established at White Ladies, Aston in Worcestershire, and the Giles flourished in England until the end of the middle ages. Notable amongst the family at this time was Giles of Lincolnshire”. In his book, A Dictionary of English and Welsh surnames, Charles Wareing Endell Bardsley stated the following in regard to this last name: “This surname is derived from the name of an ancestor. —the son of Giles,’ a curious familiar form for Egidius”. In his 1912 book, Surnames of the United Kingdom, author Henry Harrison offers up some alternative theories on the surname’s etymology: “(Anglo-French-Latin-Greek) 1 Downy-Beard [French Gilles, Jules, Latin Julius; Greek τουλος, down, first growth of the beard] 2 Gil(l)’s (Son): v. Gill1. (Anglo-French-Teut.) by metathesis for Gis(e)l = Pledge or Hostage [O.H.Ger. gísal- Old English gís(e)l=O.N. gísl] (Anglo-Celt.)? English genit. of Gille or Giolla = Boy, Servant [Gaelic gille = Irish giolla] (Anglo-Latin-Greek)? Ægis (Jupiter’s Shield) [Latin Ægidius; Greek αίγις, genit. αίγίδος] Giles is a difficult name of diverse origin. It has always been Latinized as Ægidius,but what is there phonetically common between the two?”. Other sources mention it may be from the Flemish name Gilis or the Danish Giles, both personal names. Another source claims Giles translates as “shield bearer”. It was sometimes confused with the Germanic name Gisel, a short form of the personal name Gilbert. In some cases, in Ireland, it was adopted as an Anglicizes equivalent of Gaelic O’Glaisne, a name present in County Louth, based on the world glas, meaning “green”, “blue”, or “gray”. Author Woulfe also stated Giles may be an Anglicized spelling of the Celtic/Gaelic name MacGoill in County Galway. The Giles family motto, of one of the Scottish branches of the family, is Pensez a moi, which means “Think of me”. Spelling variants or names with similar etymologies include Gyles, Gille, Jiles, Gile, Gelis, Gueilles, Gellis, and Jile. The first known bearers of this surname was Ailward Gile who was listed in the Pipe Rolls of Buckinghamshire, England in 1176 AD. Robert de Gueilles of Normandy was recorded in the Magni Rotuli Scaccarii Normanniae in 1198 AD. Godfrey Gile of England was recorded in England in 1189 AD. John, Thomas, and Matilda were recorded in 1272 AD. William Gilis gave his land of Mosplat to the church of Lanark, Scotland in 1214 AD. The Hundred Rolls of 1273 AD, a census of Wales and England, known in Latin as Rotuli Hundredorum lists three bearers of this surname: Jordan filius Egidii (Lincolnshire) and Osbert filius Egidii (Lincolnshire). Robert Gellis was a chaplain in Scotland in 1527 AD. Jhone Gelis was recorded in Gowane (Govan), Scotland in 1527 AD. The last name Giles ranks 805th popularity in the United Status as of the 2000 Census. The name ranks particularly high in the following four states: Utah (181st), Alabama (431st), Virginia (436th), Georgia (544th), and Maine (550th). The surname Giles frequency/commonness ranks as follows in the British Isles: England (374th), Scotland (1,570th), Wales (295th), Ireland (827th) and Northern Ireland (1,285th). In England, it ranks highest in counties Wiltshire, Oxfordshire, Berkshire, and Hampshire. In Scotland, the surname ranks highest in Orkney and Aberdeen. In Ireland, it ranks highest in Leinster. In Wales, it ranks highest in Cardiganshire. The name is also present throughout the remainder English speaking world: Canada (993rd), New Zealand (364th), Australia (348th), and South Africa (8,148th). In his 1890 book, Homes of Family Names in Great Britain, Henry Brougham Guppy, states the following in regard to this last name: “Though not peculiar to Wilts, Giles is an old surname in this county; it is at present mostly to be found in Devizes and its neighbourhood. One of the leading participators in the Penruddock rising in Wilts of 1655 bore this name”. Thomas Giles, son of Roger, was born in England in 1545. He had a son named Thomas who was born in England in 1571. He had a son named William who was born in England in 1598. He had a son also named William. This son, William Giles Sr., was born in New Castle Upon Tyne (possibly), England c. 1640. He came to colonial America and settled in Maryland. He married a woman named Dorcas and had a son with her named William Jr. William Giles Jr. was born in Somerset, Maryland c. 1665. He married twice: Arabella (surname not known) and Margaret Haddin. He was the father or Mary and Thomas. His son Thomas was born in Somerset, Maryland c. 1700. In 1730, he married Ann, daughter of William Harris and Frances, and had a son with her named John. John Giles was born in Stepney Parish, Somerset, Maryland in 1746. 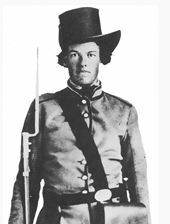 He enlisted in the Maryland Militia under Captain Handy’s Company. He received 650 acres of land in Washington County, Georgia in 1797. In 1775, he married Elizabeth B., daughter of Turner Davis, and had issue with her named Sarah, Elijah, Margaret Peggy, and Nancy. His son Elijah was born in Maryland in 1776. He married Faraby Wooten and had a son with her named David. David Giles was born in Jones, Georgia in 1804. In 1823, he married Barbara Roberts and had a son named Moses. Moses Jackson Giles was born in Houston County, Georgia in 1837. He married Winnie Catherine Stephens and had a son with her named William. This son, William Harvey Giles, was born in Mr. Pleasant, Titus, Texas. 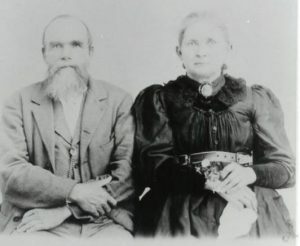 In 1891, he married Mara Ada Kelsey had issue as follows: David Henry, Moses Jackson, Perry Kelsey, John Benjamin, Winnie Ellen, Willie May, Thomas, Lillie Lee, Lula Mary, Nora Etta Giles, Esther Ann, Beaulah Beatrice, and George James. 1) Edward Giles was born in Wiltshire, England in c. 1610. He married Bridget, daughter of Henry Scudder and Elizabeth Hale, and was the father of the following children: Mehitable Collins, Remember Moses, Eleazer Sr., John (of Beverly), Matthew, and Hannah. 2) Matthew Giles was born in Dover, New Hampshire in 1604. He married Elizabeth, daughter of Sir Thomas Gresham and Francis Strickland, and had the following issue with her: Elizabeth, Thomas, Major James, John, F. Mark, Marjorie, and Paul. Edward Gyles was born in Hopton, Devon, England in 1580. He went to colonial America. In 1604, he married Elizabeth Hassen in East Kingston, Rockingham, New Hampshire and had two sons with her: Matthew and Mathew. Mathew Giles was born in Dover, New Hampshire in 1643. He had a son named Mark. In 1700, Mark married Frances Perkins in Dover, New Hampshire. They had a son named Mark who was born in New Hampshire in 1676. He married Sarah Twombly issue with her as follows: Ann, Mark III, Paul, Sarah, and Esther. His son, Mark Giles III, was born in Dover, New Hampshire in 1706. He married Liddie Tebbetts and had issue with her as follows: Elizabeth, Mark, Lydia, Paul, and Joseph. His son, Joseph Giles, was born in 1735. He married Martha Pinkham and had a son with her named Samuel, amongst others. Samuel Lewis was born in 1776. He was a farmer by occupation. He served as a sergeant of a military company in the War of 1812. He was a member of the Free Will Baptist Church. He had sons named George and Benjamin. Benjamin Paul Giles was born in 1811. He married Mary Merry and had a son with her named George. George Elliott Giles was born in Boothbay, Maine in 1835. 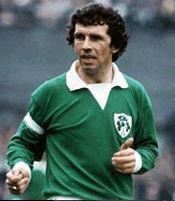 1) Michael John “Johnny” Giles is a former footballer (soccer player) from Ormond Square, Dublin, Ireland who plated from 1957-1983 for five different teams including Manchester United, and plated for the National Team from 1959-1979, later going on to manage several teams. 9) Reverend John Allen Giles (1808-1884) was an English historian and clergyman born in Mark, Somerset, who was best-known for being a scholar of the Anglo-Saxon language. 10) William Branch Gules (1762-1830) who was the 24th Governor of Virginia from 1827-1830, served in the US Senate for Virginia from 1804-1815, in the US House of Representatives for Virginia from 1790-1798, and in the Virginia House of Delegates several times.